Is your version of Quicken running slowly? Does it freeze or hang every time you try to use it? 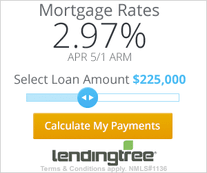 Does Quicken act sluggish when you add new transactions? Read below for tips and fixes on how to get Quicken running at top speed. 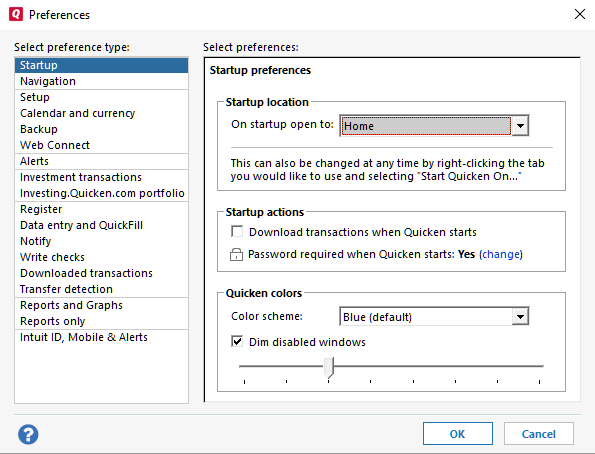 Some Quicken 2017 for Windows users have been reporting slowness or freezing when opening or using Quicken. If you have been experiencing this, please continue reading below for a possible solution. This only applies to Quicken for Windows, so if you’re using Quicken for Mac, you can safely ignore this fix. The Quicken team is working on a permanent solution to this problem, but here is a temporary fix that may help solve the problem for you. 4. Underneath “Startup Location”, if it says “Tips & Tutorials”, change it to anything other than “Tips & Tutorials”. The slowness and freezing should no longer occur. 2. Disconnect from the Internet. 3. Re-open Quicken, and you should be able to follow the steps above. 4. Reconnect to the Internet. This problem is occurring because of a bug on the Tips & Tutorials tab. 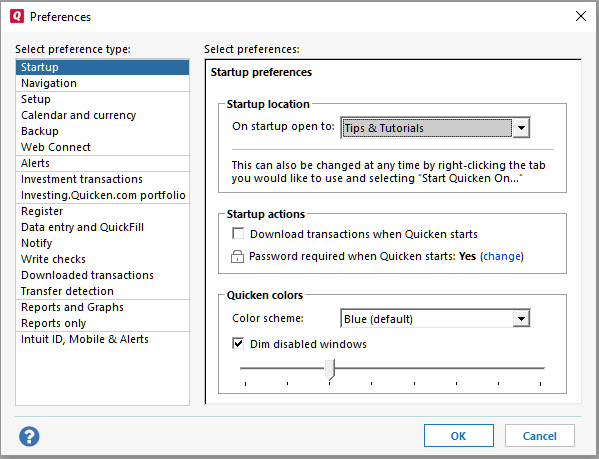 Some users Quicken preferences are set so the Tips & Tutorials tab is the startup page, which is causing Quicken to run slowly or freeze. The temporary workaround listed above should help solve the slow Quicken problem for these users. 1. For a desktop-based program (Windows or Mac), try Moneyspire. Read my review on it here. 2. 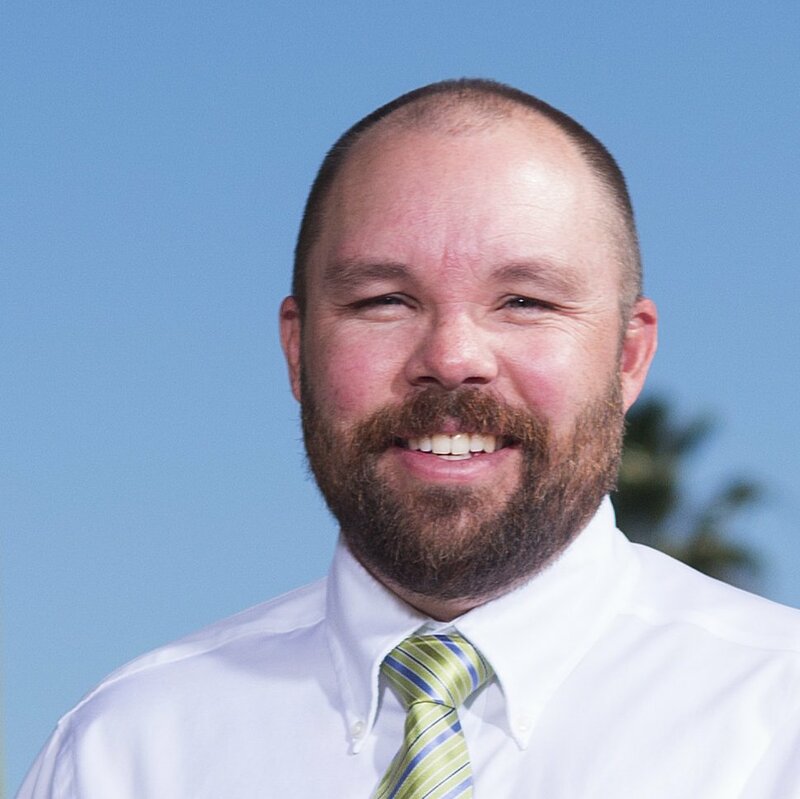 If you want to try a cloud-based alternative to Quicken, try Personal Capital. It’s completely free.